Debi Ortgies. Photo courtesy of Jennifer Moran. Today’s job market, especially in the fields of Computer Science and Information Systems, is extremely competitive. Thousands of students graduate each year with similar degrees, all searching for that perfect job. What gives one student the competitive edge over another? Work experience. As several students recently discovered, getting involved with the CIS Co-Op Program at the Monte Ahuja College of Business is providing them with real-world work experience to enhance their classroom studies and make them extremely marketable job candidates. The CIS Co-Op is a formal, accredited academic program that integrates classroom theory with work experience. Students alternate semesters of work and study, beginning the summer after freshman year, and complete a minimum of two and a maximum of four Co-Op semesters throughout their undergraduate program. Their degree is completed in five years with the equivalent of at least one year of meaningful CIS/IT experience. From this last cohort, students who participated in the CIS Co-Op had positions with some top companies in the Cleveland area including Cleveland Clinic, Lubrizol, Progressive, Westfield Group and Eaton. Those in the Co-Op program had the unique opportunity to not only be exposed to a corporate environment, but to network with leaders in the field and work on projects alongside them. “A Co-Op is one decision in college that you will never regret,” said Yuzhan (Maggie) Ma, a Computer and Information Science Major who had a Co-Op with the Cleveland Clinic Foundation. Students in the Co-Op program receive guidance and assistance from the Co-Op Coordinator in the College of Business, who is able to help students find the right position to fit their programs of study and career interests. It’s never too early to apply for a Co-Op and more and more students are taking advantage of this program in order to increase their chances of securing that sought after job post graduation. Debi Ortgies, who completed her Co-Op at the Cleveland Clinic, had an extremely positive experience. “I am certain it will improve my marketability,” Ortgies said. “This Co-Op gave me the opportunity to build on my professional experiences and develop my skills, which will help when I begin pursuing full-time employment. Interested students and employers who want to become part of the CIS Co-Op program should visit www.cis.csuohio.edu/coop. 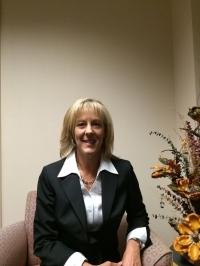 Jennifer Moran is Marketing and Communications Manager at CSU's Monte Ahuja College of Business.